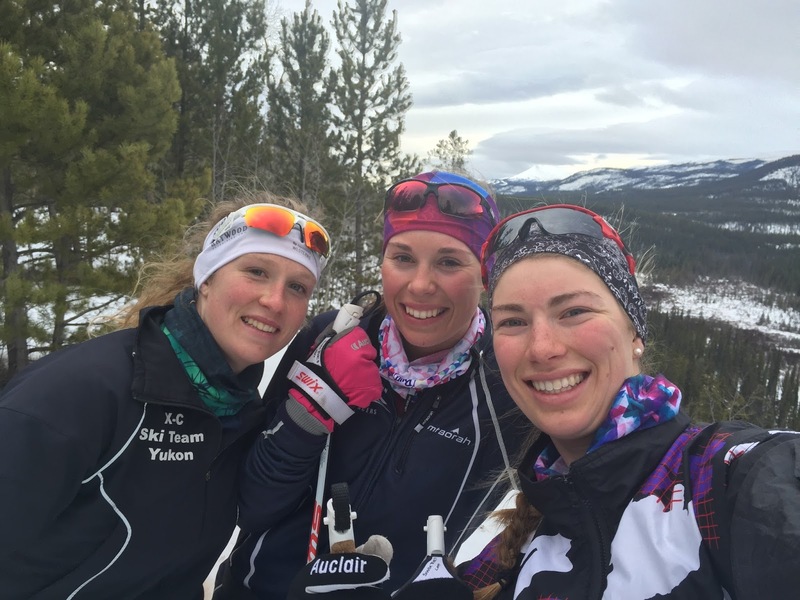 My season has now wrapped up with the Canadian National Championships in Whitehorse. With Nationals ending and all the teams leaving town, so has the snow. I have managed to get in a few more great skis higher up on our trail system but it is definitely the warmest spring I’ve ever seen in the Yukon. 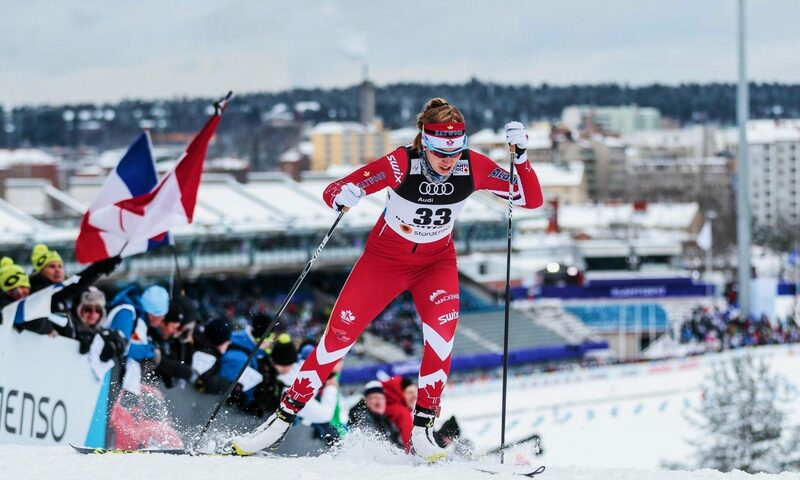 With racing over for the season, I have had time to reflect on the past two months of racing and just how great it has been: my best season ever, 8 NorAm wins and a 15th place on the world cup. Since the beginning of March, the time has just flown by, it really seems like yesterday that I was celebrating my 22nd birthday in the midst of the Ski Tour Canada. 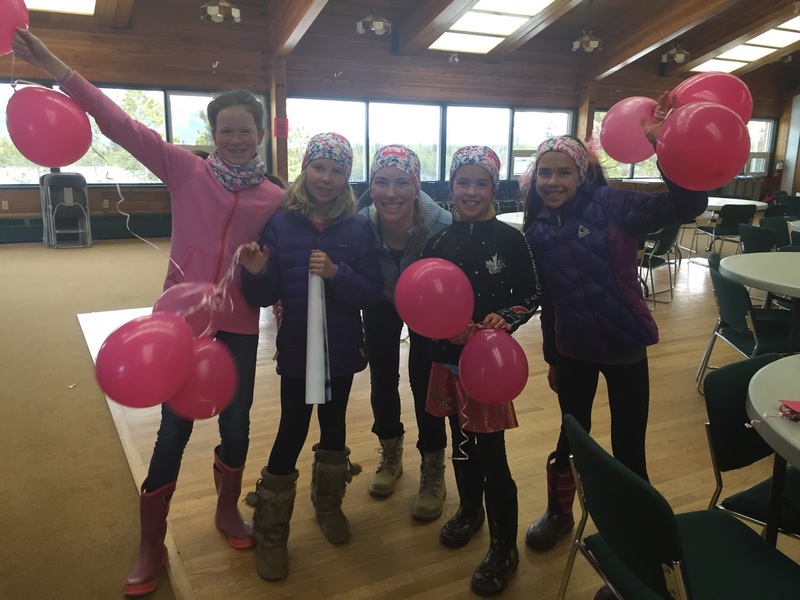 Before we get to the Ski Tour, let me catch you up on what I got up to in February. After competing in Europe in January I returned to Canmore for a couple weeks off racing and put in a volume block before the final race period of the season began. 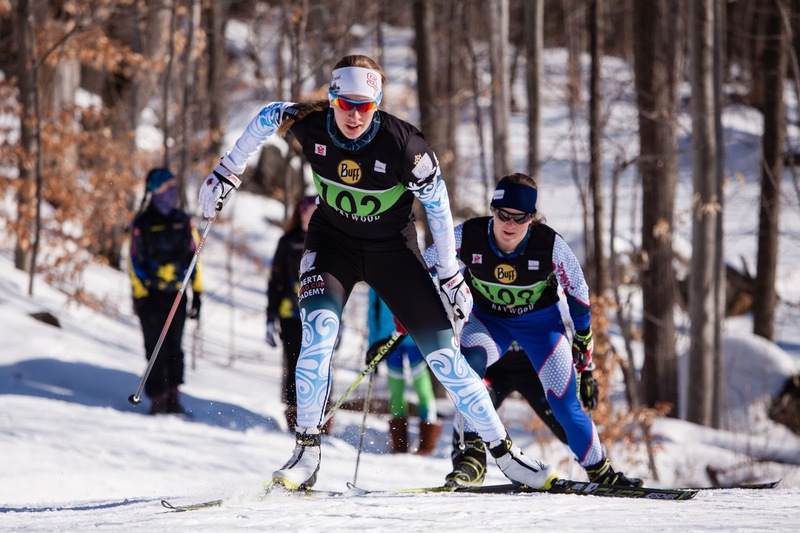 Racing resumed for me with the Eastern Canadian Championships at Nakkertok Ski Club. I have only race at the Eastern Championships once before, so it was lots of fun for me to race at the Nakkertok trails and spend time in the Ottawa/Chelsea area. The weekend started with the sprint race. After having a really good qualifier in the sprint I was involved in a crash in the A final taking me out of medal contention. I finished the day 5th disappointed with how things had turned out but know that’s how sprinting works. In both the distance races I was feeling fatigued from the volume training block I had just put in, but I was able still able to put together some good results, finishing 2nd and 1st in the 10k skate and 15k classic respectively. After Eastern’s the volume training decreased and the intensity sessions picked up in preparation for the Ski Tour Canada at the beginning of March. The Ski Tour Canada was one of my main goals for the season. In my opinion there is no better way to prepare for races than to race. So a week and a half before the Tour I packed my bags once again and flew to Prince George for the Western Canadian Championships. Another reason to go to Western’s was to try to regain the Haywood NorAm leader position that I had lost by not racing the January NorAms. I had done all the math before going and new that since I had decided to only do 2 of the 3 races at Western’s in order to best prepare myself for the Tour, I needed to win both to secure the leader spot. Before leaving my roommate Macx said to me: “You know what you need to do, just go and win”. He said it like it was no big deal. I guess he had more confidence in me than I did but as it turned out I had recovered from the fatigue I had been feeling at Eastern’s and felt great during the first race of the weekend. I picked up my first win of the two I needed and was accompanied by my AWCA teammate Olivia in second and good friend Maya in third. The following day was the classic sprint where I picked up my second win of the weekend with an identical podium to the day before. 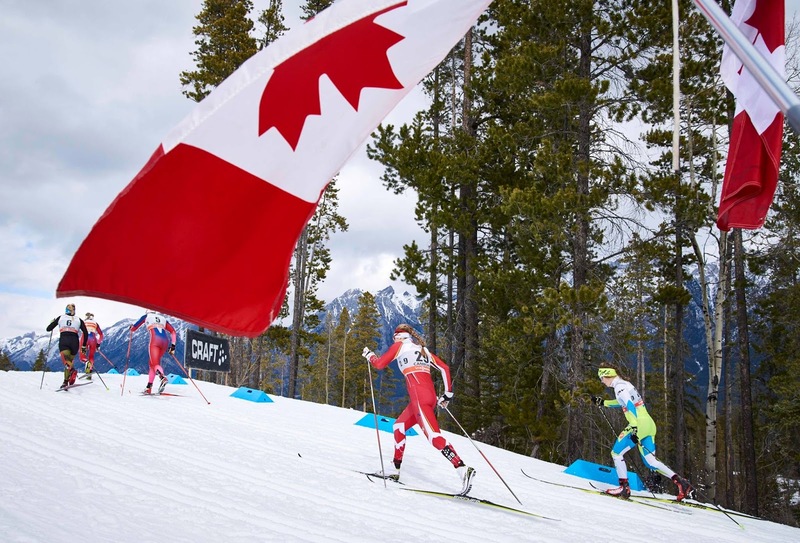 Having regained the NorAm leader position for the Ski Tour Canada I returned to Canmore to put in my final preparations before the Tour. 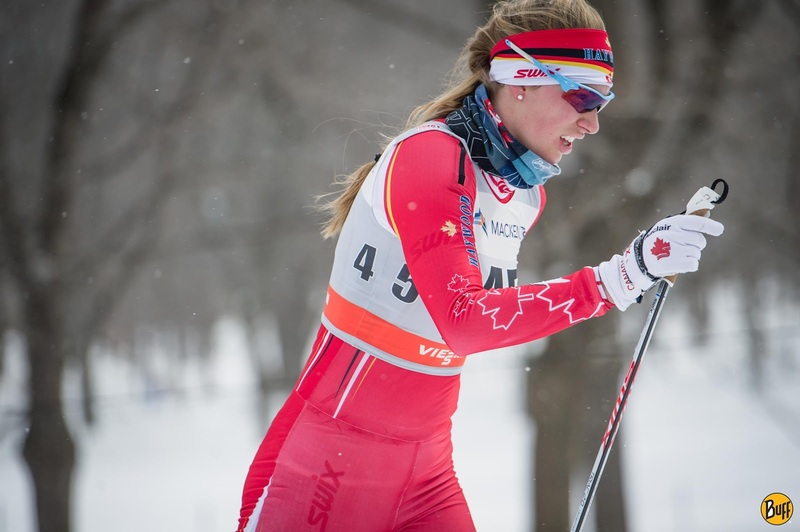 It was then a quick hop back east to Ottawa once again for the start of the Ski Tour Canada, the event we had all been waiting for. There were the opening ceremonies and then the first race of the Tour, a Skate sprint in Jaques Cartier park. I was the first Canadian to start and the cheers from the crowd when I started were so much louder than I had anticipated. The 800m loop was lined with spectators all the way around, cheering my name and waving Canadian flags. It was an amazing experience, a bit distracting I must admit, but incredible all the same. I crossed the finish line feeling like I’d skied alright, not great but not terribly either. I had let my concentration slip a few too many times and gave up 3 too many precious seconds. I finished 45th in my first race of the tour, 3 seconds from qualification but my teammate Maya had finished 30th, and was into the heats!! An hour later when the men raced, fellow Yukonner and AWCA teammate Knute also made the heats, qualifying 29th. For both of them it was their first ever World Cup top-30, their great results motivated the rest of the team and gave us confidence for the rest of the Tour. Race number two moved to Montreal the next day, the bluebird sky and nice conditions of Gatineau were gone and tough mid winter storm conditions had set in. Stage two was a 10k mass start classic race. With the difficult conditions came lost of crashes but it was my back that ultimately cost me that day. I had been having some problems with my back and pelvis in classic races starting in January but with the soft snow in Montreal my back went into full spasm and seized up 3k into the race. It took all my mental motivation to fight through and finish the race and to top it all off I broke a pole in one of the crashes. Crossing the line 7 minutes behind the winner and crumbling into a ball of pain it was not my finest race but I finished and lived to race another day. With a day to rest I was able to get treatment and refocus mentally as the racing moved to Quebec City where stage 3 and 4 were held. The back drop of the downtown race course was amazing and the fans were once again out in force, there to cheer on hometown hero Alex and the rest of the Canadian team. Both the Quebec City were skate races which was much better for my back. I was really happy with both of them, missing the sprint heat by only 1.5sec this time coming 39th and having my best distance world cup result to date with a 45th in the 10km pursuit. The home crowd wasn’t disappointed as Alex raced to a silver medal for Canada in the sprint, our only medal of the Tour. 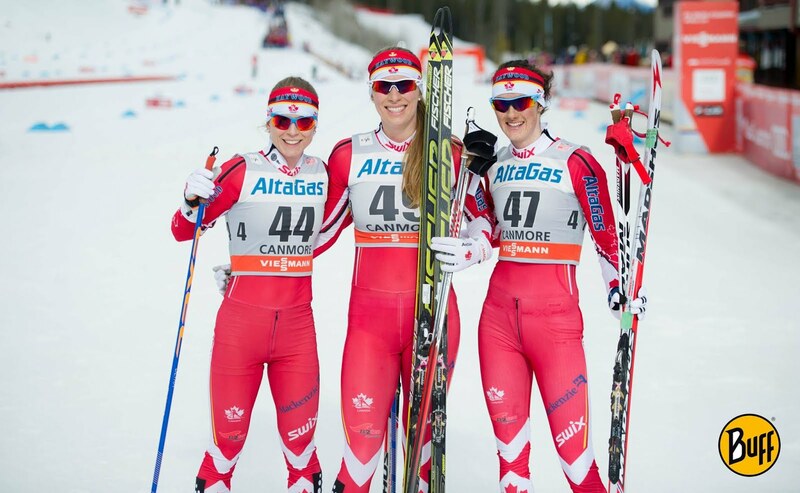 The final four races were held in Canmore Alberta so we travelled west once more and had two days rest before we started racing again. Stage 5 was a classic sprint and the final sprint of the tour. 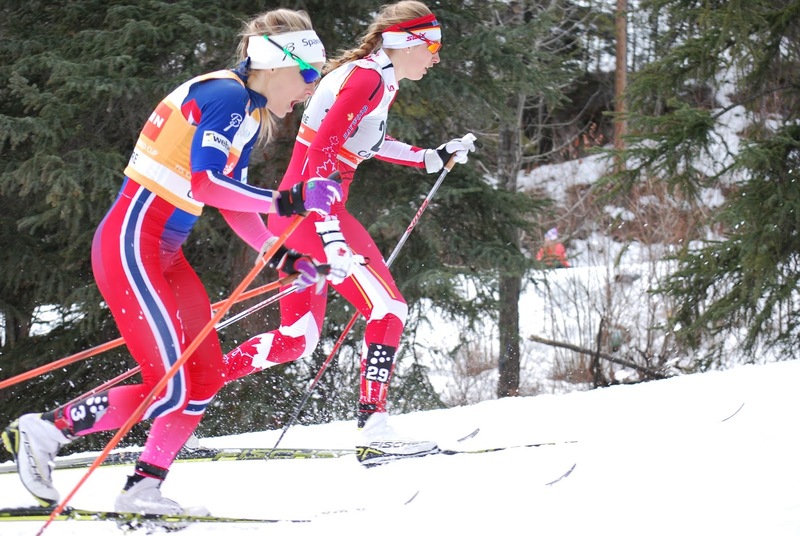 Having won a NorAm on this course earlier in the season, I knew that it was my best chance at a top-30. The Canmore sprint course is hard and long. I went into it focused on the process and believing anything could happen. Going up the climb the second time my coach yelled at me, “everybody is hurting, keep pushing”, and I did right to the line. When I crossed the line I looked up at the results board and saw I was in 29th position. A wave of cautious excitement came over me as I waited for the rest of the women to cross the line. That cautious excitement turned to absolute elation as my 29th place held up and I made my way back to the finish area to pick my first ever World Cup heat and get my bib. By the time the heats started I had calmed down from my earlier excitement and was refocused and ready to race. My heat (6 athletes) included World Cup overall winner Therese Johaug. I was going into the race with the mentality try not to be last. I was thinking maybe I can be 5th or even 4th if things go amazingly well. When the start gun fired I had so much adrenaline in me I shot out of the start gate faster than I ever have in my life. For an instant about 100m into the race I found myself in the lead. I was soon passed by Therese and two others and climbed the first hill in 4th. As I came under the bridge on the first downhill I saw Therese on the ground, she had fallen. Seeing her on the ground and knowing I was now in 3rd gave me a surge of energy. On the second climb Therese caught back up and passed me but I was able to get in behind her and pass her back on the downhill. In the final double pole finish I put every ounce of energy into my poling and pulled away crossing the line in 3rd place in my heat. Exhausted lying on the ground I looked up to see that I was currently sitting in a lucky loser position, one of the two fastest 3rd place times that would move on to the semi finals. In the end my time didn’t quite hold up for a lucky loser position and I finished the day in 15th, still amazing and much more than I was expecting going into the race. The day after my birthday, it was the best present I could have asked for. I didn’t end up finishing the Tour, I did the 6th and 7th stages and finished 41st in the skiathlon then 40th (new distance PB!) in the 10k skate but my back had hurt a lot again in the classic portion of the skiathlon so I sat out the final day which was a 10k classic. It was hard coming so close to the end of the Tour but not completing the it. However with Nationals the following week I new that wrecking my back just to say I had finished wouldn’t be worth it. So with my career best finish fresh in my mind I packed my bags for the last races of the season and flew north to Whitehorse. Nationals is always a great week of racing and other community events and this year was even more special than usual with Nationals being at home. I only did 3 of the races sitting out the Classic team sprint and the 30km Classic to keep my back issues in check. 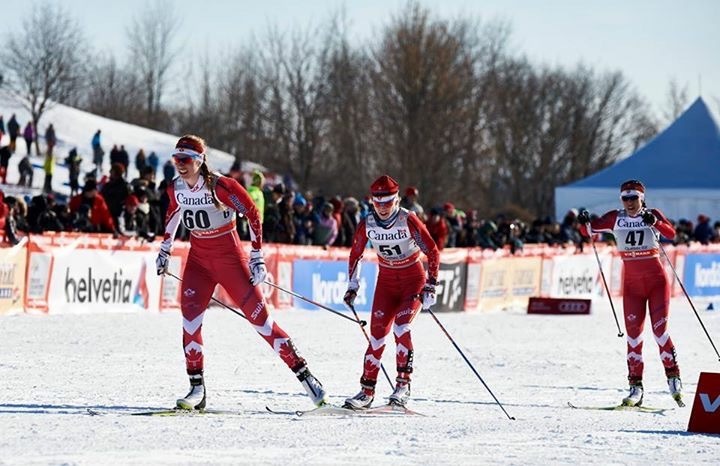 My week started with the 5km classic where I came second to my teammate Emily Nishikawa who had been on the World Cup all season. I was really happy to start the week off so well and even more happy that I was able to get through 5 whole kilometers without my back completely seizing. 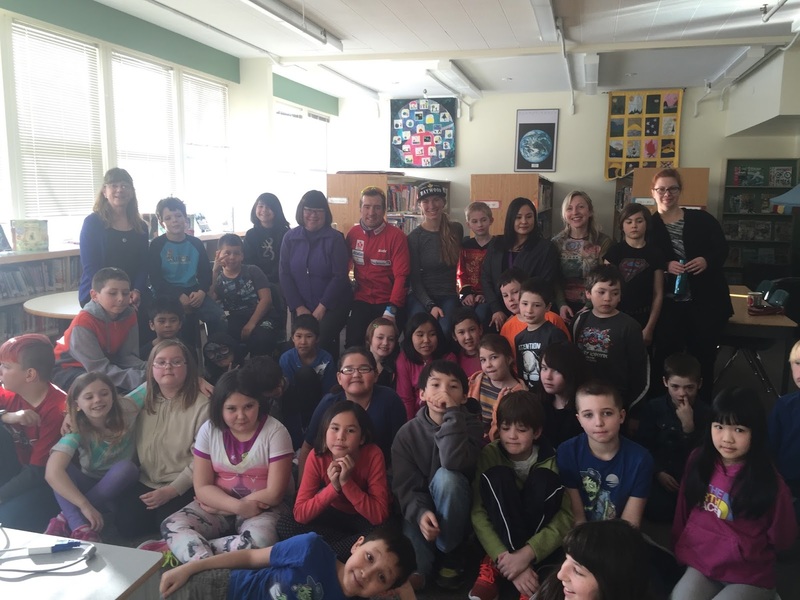 On our first rest day I had the pleasure to speak at the parent appreciation night and give a thank you speech on behalf of all the athletes as well as talk to elementary school students about skiing and racing. The next two races where the 10km skate and the skate sprint. I was the second starter in the 10km skate so I raced the entire thing with no sense of how fast others were skiing that day. I went hard from the start line and made sure I had exhausted myself by the top of the last climb on the course. I crossed the line as the first finisher of the day and then all I could do is wait. I waited until the last finisher had crossed the line and my time was good enough. I had won my second National title in my two years as a senior. 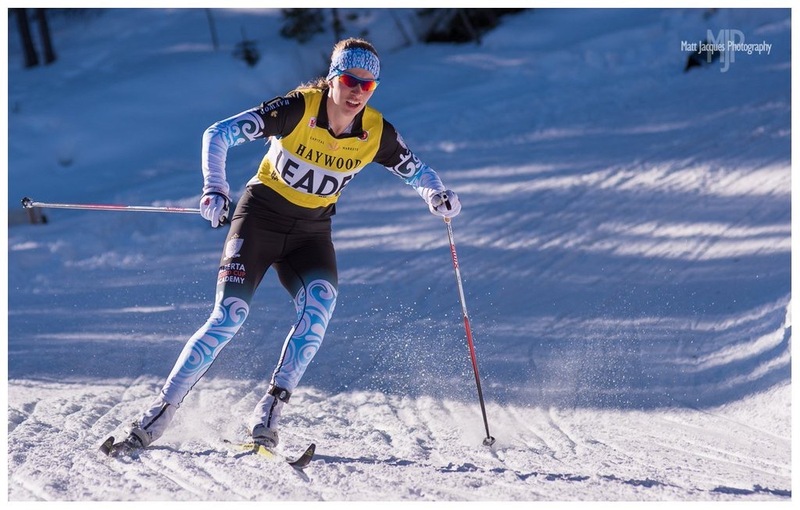 The following day was the sprint and after a rocky qualifier in the morning I felt better as the quarter and semi final heats progressed and skied to my second National title of the week. After the sprint my Nationals were complete with only the 30km Classic left. I had the chance to co-host a great fast and female power hour with Emily and our sport psychologist Tracey. It was awesome to have about 90 girls participate as well as 15 wonderful ambassadors and learning and talking about sport psychology techniques. I cheered on my friends in the 30km/50km races before we all capped off the season together at the Nationals banquet. I placed the same as I did last year in the aggregate but this year without doing the last race. I came 1st aggregate in U23 women and 2nd in open women. 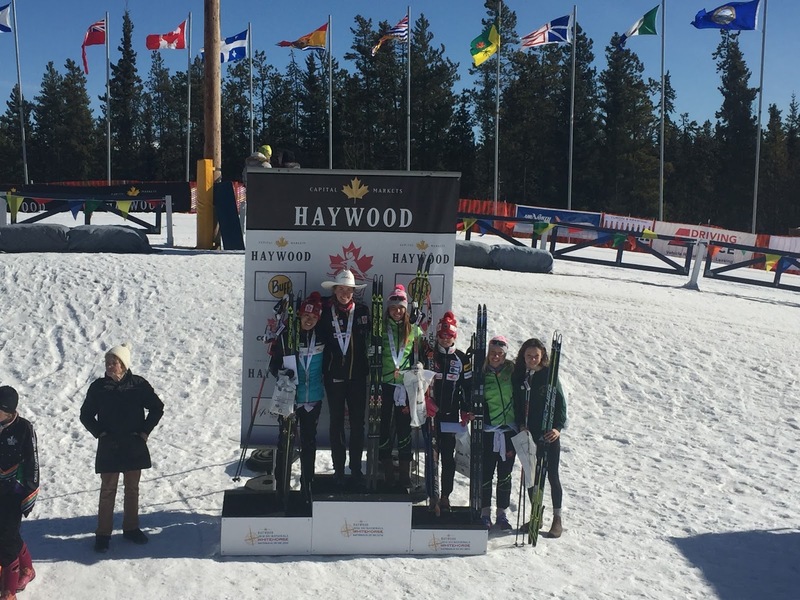 My two wins at nationals also secured me the Haywood NorAm Overall title for the season as well as the Buff NorAm Sprint title. Winning the NorAm overall means that next fall I will be going over the Europe to race on the world Cup before Christmas. 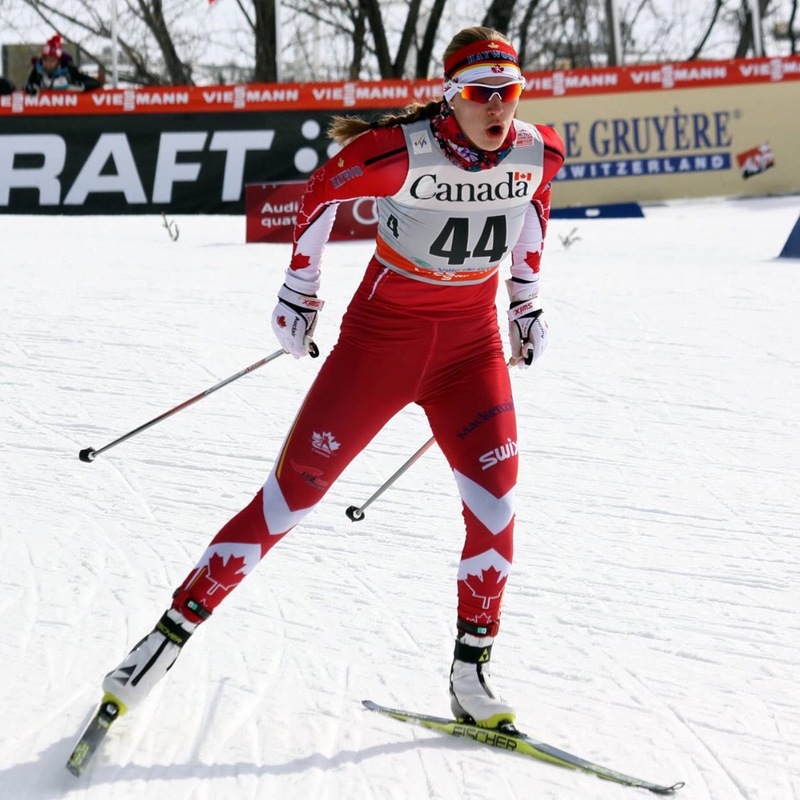 The NorAm overall and a World Cup top-30 were my two big goals for the season. I am so happy to have been able to achieve both these goals. I couldn’t have made it through the season without my amazing family; my grandparents who cheered me on during stage 1 of the tour, my sister cheering on stage 2&3 and my parents who were there for my 15th place finish and cheering on stage 5, 6 & 7. My coaches, teammates, boyfriend and friends who were there every stage of the Tour and the rest of the season as well, encouraging, challenging and supporting me. 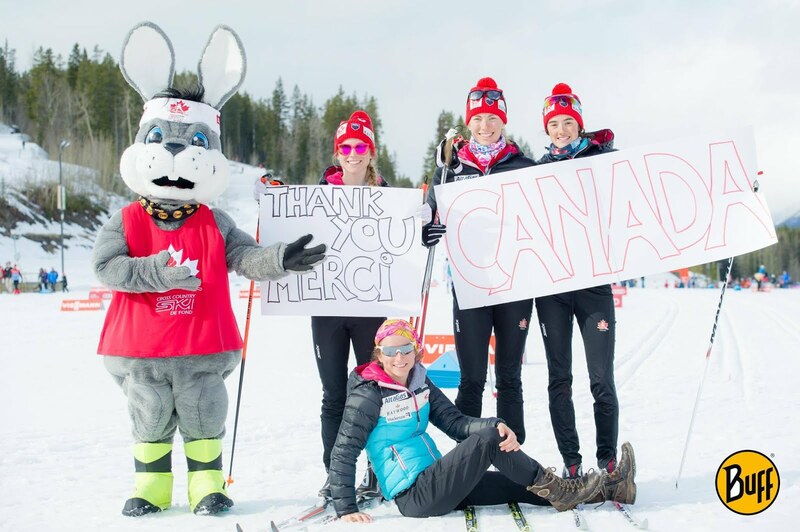 My adopted family in Canmore and my sponsors who help me financially and are always there for encouragement and motivation following my season from near and far. Now I have April to recover from the season and get my back all fixed up and healthy. Having so many racing opportunities on the World Cup this past season has motivated me more than ever for the upcoming training season. Racing at that level showed me the many areas I need to work on to be ready and competitive for the World Cup next year. Thank you to everyone who has been part of this amazing season and I look forward to working with many of you again soon! That’s all for now. Next year’s teams will be announced at the end of April and from there summer training adventures will be planned. Next stop Maui… Happy Spring! Previous PostPrevious Europe Race Journal Part II: My Best World Cup Result Ever!